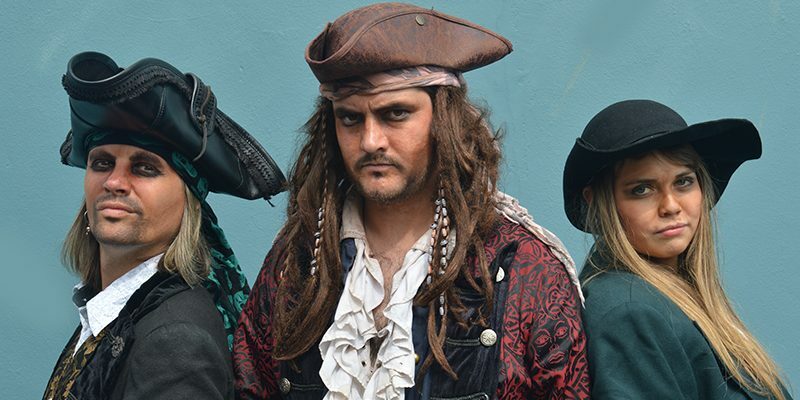 The Flamingo team are helping the crew at Pirate’s Quest get ship shape in time for their upcoming event Blackbeard’s Big Weekend this May bank holiday (5th – 7th May) when the infamous pirate Captain Blackbeard will be visiting the Cornwall based attraction. Captain Calico Jack will also be making waves on BBC Radio Cornwall today to talk about the bank holiday weekend! After his successful debut last year, for one weekend only, the most infamous pirate to ever sail the seven seas will be returning to Pirate’s Quest. Visitors will be able to meet the notorious Captain Blackbeard for a limited time at the attraction. The piratical walk-through experience, has a brand new storyline for 2018 where visitors will be transported back almost 300 years. They’ll begin their adventure on board a Pirate Hunter’s Ship called the ‘Royal Anne’ – a vessel that left England in 1721 with the intention of sailing to the Caribbean, but wrecked off the South Coast of Cornwall. Captain Blackbeard and his LIVE pirate crew will rescue visitors from the sinking Royal Anne, escorting them through a secret passageway, and then acting as a guide through several detailed sets and scenes – a chance to explore the mystical caves and murky streets of eighteenth century Cornwall.